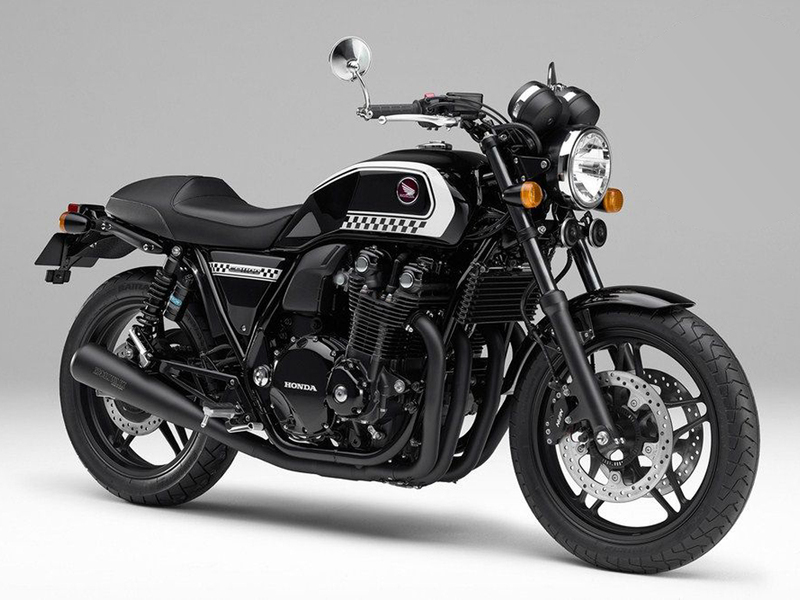 TOKYO, Japan, March 14, 2016 – Honda will exhibit motorcycle models spanning several categories at the 32nd Osaka Motorcycle Show 2016 from Saturday, March 19 to Monday, March 21 at Intex Osaka, and the 43rd Tokyo Motorcycle Show from Friday, March 25 to Sunday, March 27 at Tokyo Big Sight. A total of 21 models will be exhibited at the motorcycle shows, presenting an enriched motorcycle lifestyle to a wide range of visitors. Concept models stating a new direction in air-cooled CB models. A completely new adventure concept model bringing the spirit of adventure to city riding. A concept model taking the adventurous spirit of its base, the CRF1000L Africa Twin, to a new level. Prototype adventure model based on the CRF250L with design cues from the CRF450 RALLY (Dakar Rally racing machine) featured throughout. Special edition road sports CB models with special colors to enhance classy and muscular appeal. 125cc sports model with outstanding performance in the city or on holidays, with a revitalized exterior design to enhance active appearance. Models from numerous categories on display, featuring new models such as the CRF1000L Africa Twin, NC750X, 400X and CBR400R.